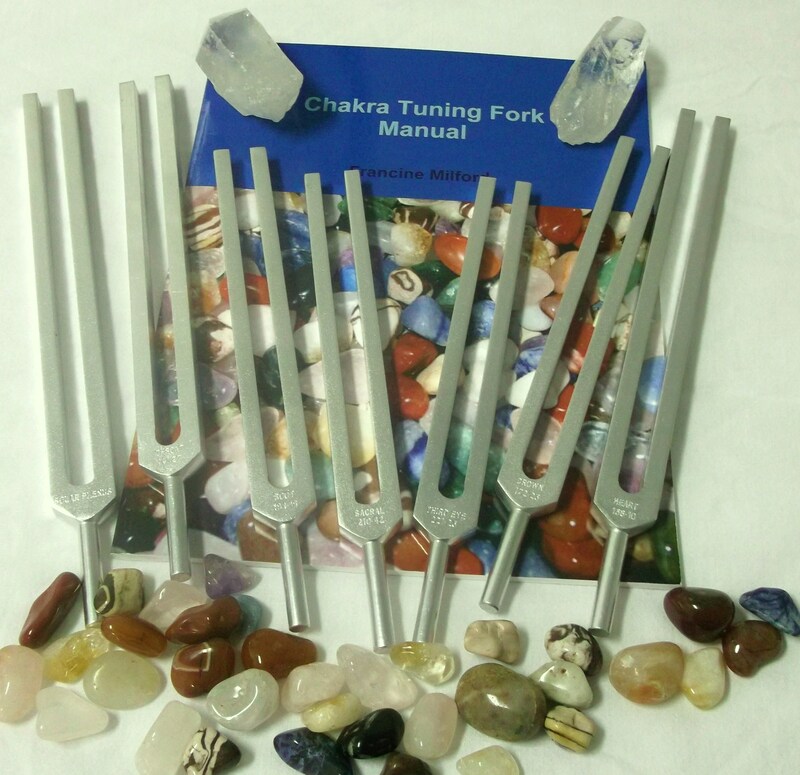 The Chakra set of tuning forks comes in your choice of 7pc. or 8pc. sets-or weighted and unweighted sets. Each of the Chakra forks correspond to one of the major chakras in the body. In the 8pc. 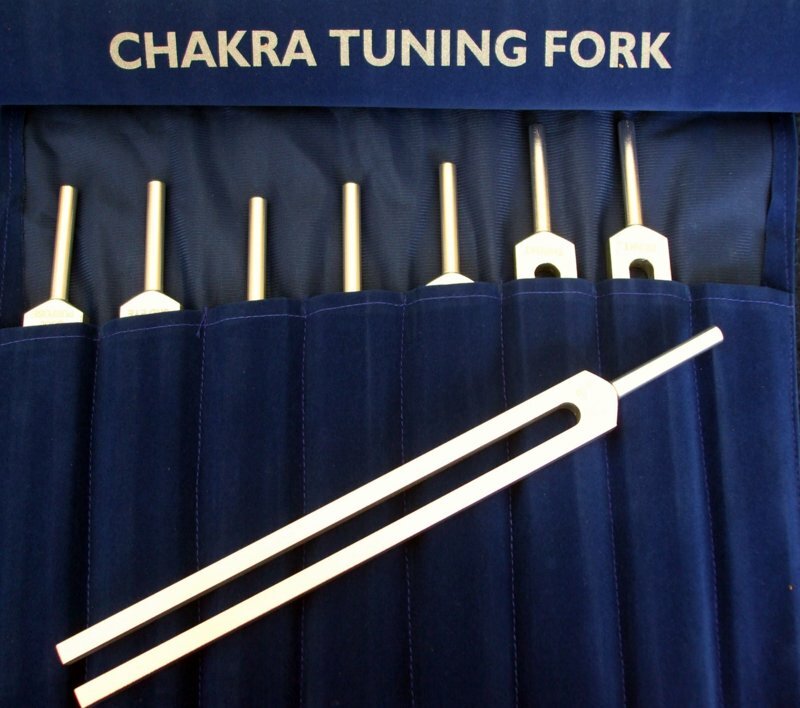 Chakra set, the Soul Purpose tuning forks corresponds to the Soul Star chakra which is located 10-12" inches above the Crown Chakra. This is your link to the Divine. It is also referred to as the Interpersonal Point. 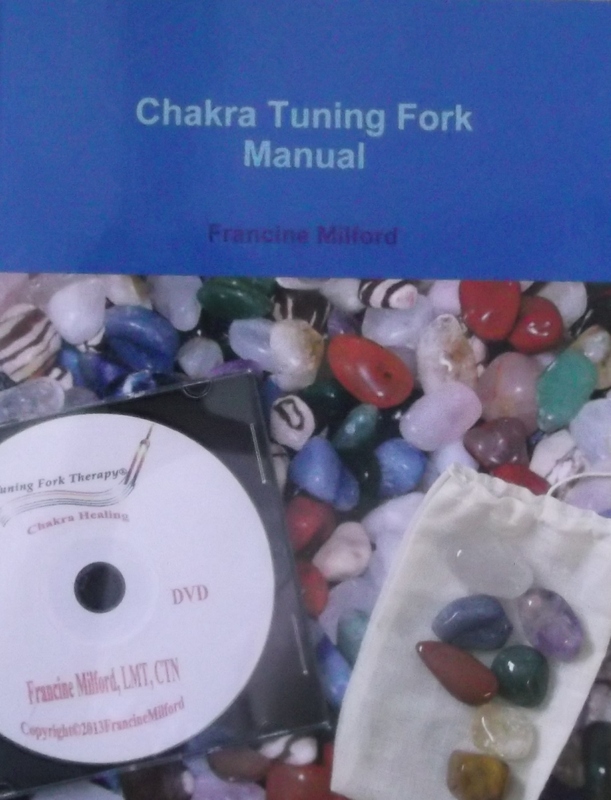 Use these chakra forks the same as you would the 8pc beginner set that is listed in my Level One manual. Use the forks to open, balance and connect the Chakra energy of the body. 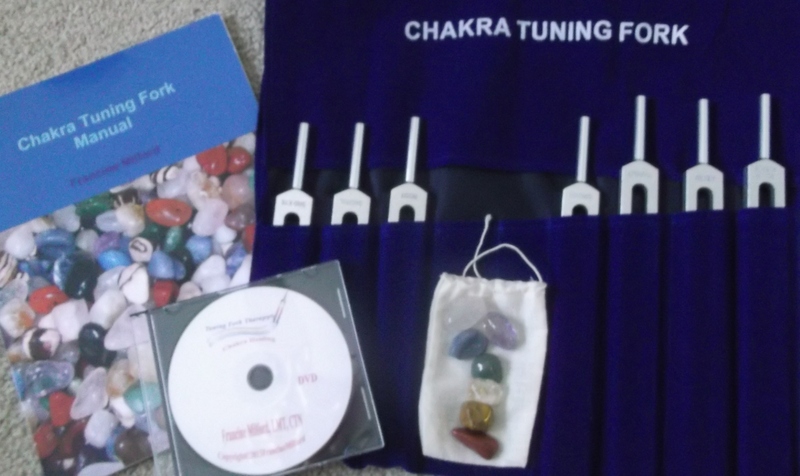 This set includes the 7 basic frequencies that correspond to the 8 major chakras of the body. This set includes the 8 basic frequencies that correspond to the 8 major chakras of the body. 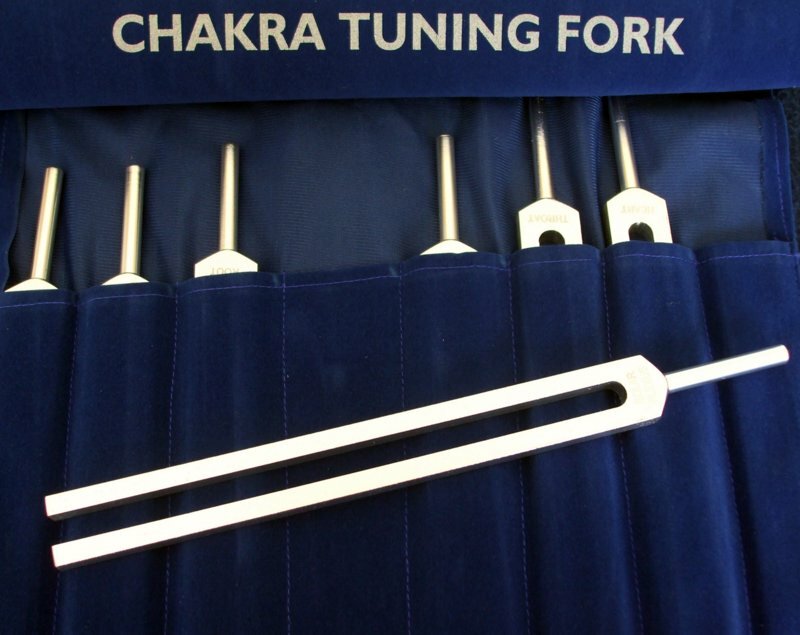 All frequencies and the Chakra Names stamped on the tuning forks. Cost of set is $12.99 plus $4.99 postage in the United Staes. Cost of 8pc. 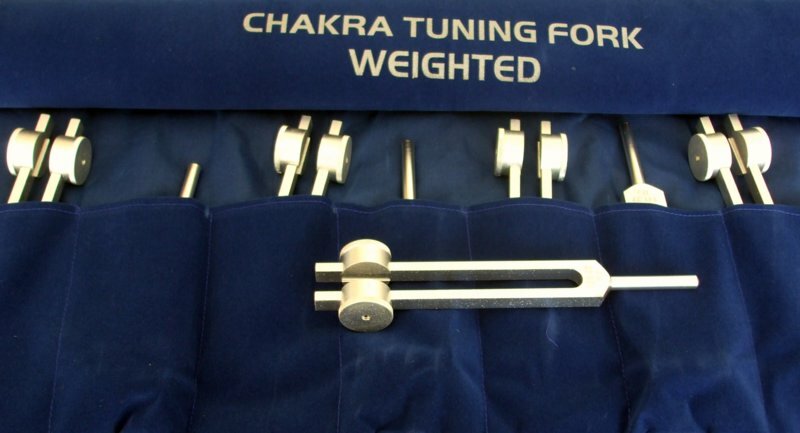 Chakra Weighted Tuning Fork Set is $229.99 plus $13.99 postage in U.S.A.
Book (printed in color) ONLY. Cost of book only is $30.00 plus $5.99 postage in U.S.A. 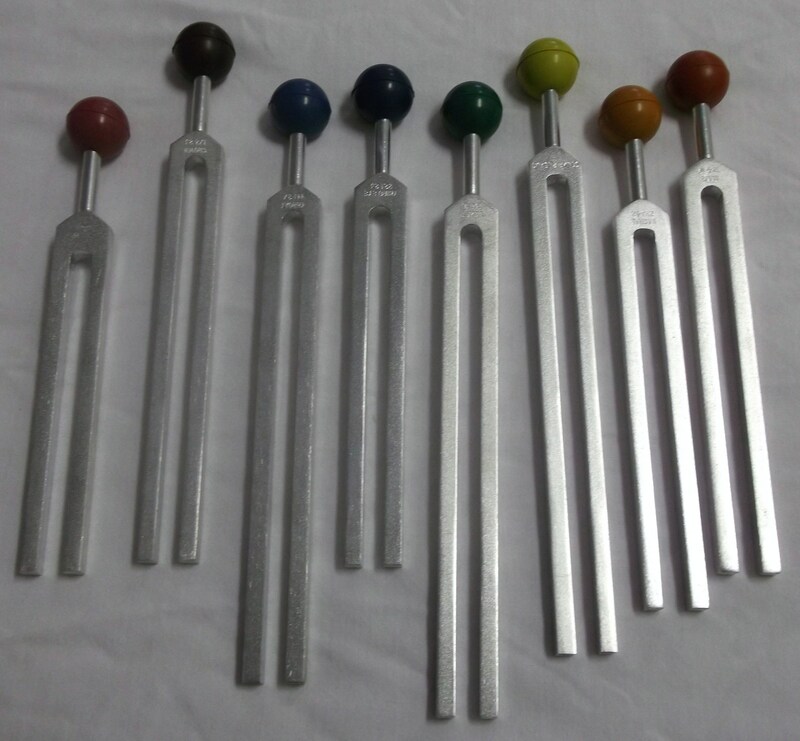 Cost: $249.99 plus $13.99 postage in U.S.
All frequencies and Chakra Name are stamped on the tuning fork along with 8 colored balls for the ends of the forks. (Your put the balls on the forks yourself). 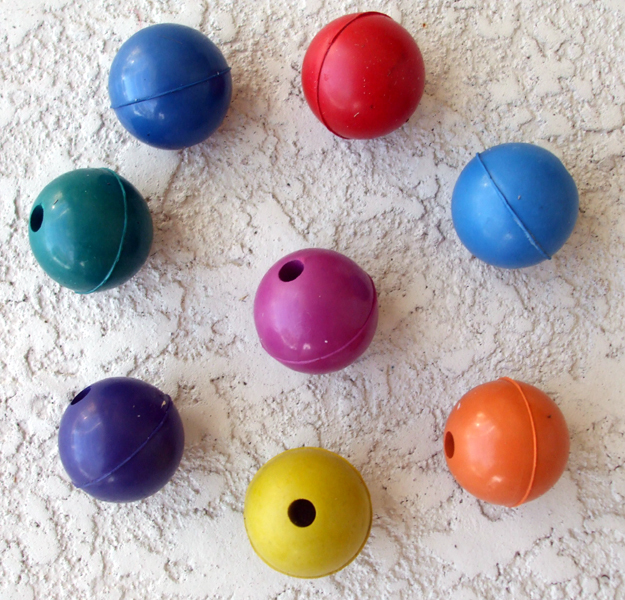 8pc Unweighted Chakra Set with Colored balls cost: $139.99 plus $13.99 for postage and handling in United States. Call for prices outside of the country. Cost: $99.00 plus $8.99 media postage in U.S.